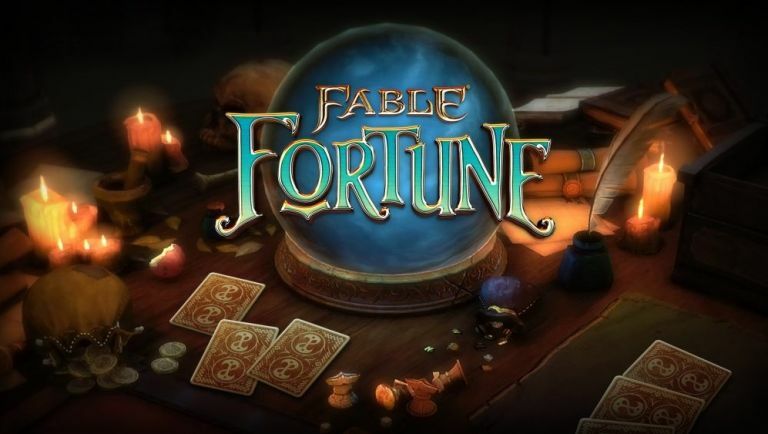 Seemingly while the embers that were once Lionhead are still cooling, the Fable franchise has returned under the guise of free-to-play CCG (collectible card game), Fable Fortune. Revealed by IGN, it turns out Fable Fortune was in secret development at Lionhead for a good 18 months before the studio was unceremoniously shut down by Microsoft earlier in the year. With a great deal of the game already built, new studio Flaming Fowl approached Microsoft with the idea of finishing the game independently. Surprisingly, Microsoft agreed to allow the new studio to use the Fable licence (co-founded by Lionhead veterans Craig Oman, Mike West and Marcus Lynn), but wouldn't act as a publisher. Instead, Flaming Fowl is preparing to take Fable Fortune to Kickstarter in the hope of raising enough funds to finish and self-publish the game. The campaign, which is set to go live at 3pm BST today, will aim to raise a princely £250,000. Considering the success of Yooka-Laylee (also formed from veterans from another venerated British studio, Rare) and Double Fine's Broken Age and Psychonauts 2, the chance of the team meeting their goal certainly seems promising. So another CCG game then? According to what Flaming Fowl showed off to IGN, the game is a cross between Blizzard's Hearthstone and Mojang's Scrolls - using a 3D engine to animate each card as a character, as well as offering themed decks, special bosses to fight and online matchmaking. If you're a Hearthstone nut, the allure of the Fable franchise could be enough to make this your new obsession. Why not check out: Is Nintendo's Miitomo app turning into a social media ghost town?